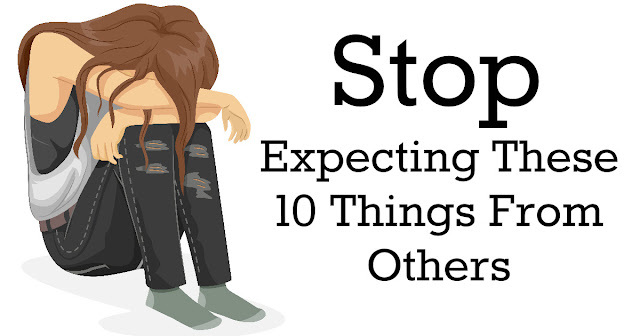 One of the many faults that we have and greatest source of emotional and mental suffering is having too much expectations of others. Constantly putting your friends and family under a microscope is simply asking for trouble and studies even show that unwarranted expectations from people leads to anxiety, depression and psychological health deterioration. This is because giving someone else standards leads to disappointment once they don’t manage to reach them and that creates rifts and severely damages your relationship with people. Well it’s a no brainer that no-one’s perfectand expecting this from people is bound to result in disappointment. Once you expect people to do certain things to perfection and they don’t, try and understand that they are only human and they tried.Besides, they may be very comfortable with what they did and see it as their best.